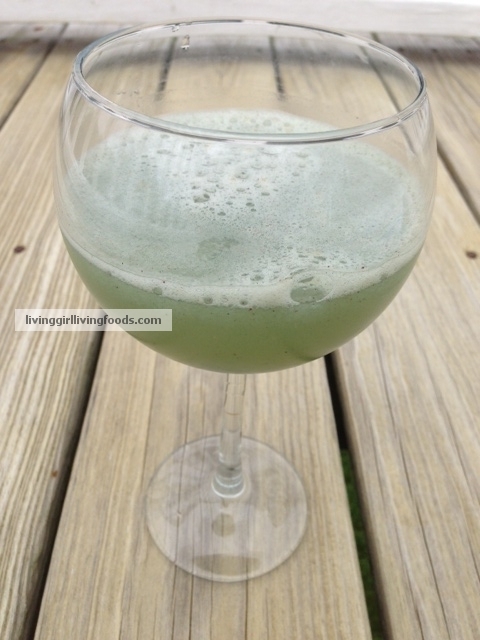 I have some little cocktail like drink recipes to share with you today. A while back I shared some ideas on what to do with basil as well as the health benefits of consuming this herb. 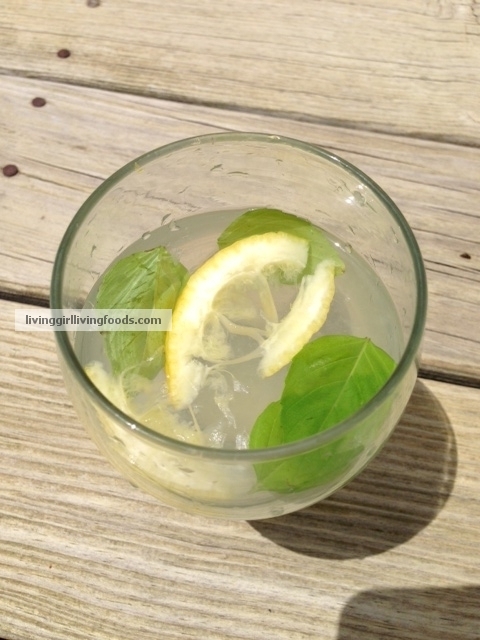 Here is a simple Basil Lemonade Recipe that takes very little time to make and even better just a few ingredients too! At many vegetarian and or vegan restaurants I have been seeing a drink like this being served. I personally do not add any sweeteners to this, fruit is sweet 🙂 But of course if need be, try adding coconut nectar or a little fruit juice from an apple or pear. After wards, I blended this up and added half of a probiotic capsule (pulled the capsule open and poured half in) THEN poured the elixir over it! I found this to only taste like lime, like a liquid lime dessert hahaha. Even with all the things I added in the citrus was the most dominant. It can be difficult during the summer to do a cleanse with all the food, events, friends visiting and so on during the summer. Or even just eating cleaner! Making your own juices, lemonades, elixirs and tonics are a positive, fun, delicious, loving and celebratory way of spending time with loved ones. It’s a way to liberate the body, lift our spirits, celebrate life and all of the options we have. All of the ingredients that I just used a pinch of is not “essential” by any means in your drink at home. I’m not the type of person who likes to do retail therapy or get my nails done. Inside I like to treat myself to elixirs and tonics 😉 Please do not think that anyone has to have all of the ingredients in their home! I buy small amounts of powders and herbs frequently from different all natural shops. So my collection is large, but I do not have a lot of each item. I hope this post gives you all some ideas on drinks of your own. Thank you all for taking the time to stop by my site. Much love ❤ and raw power ;-)!